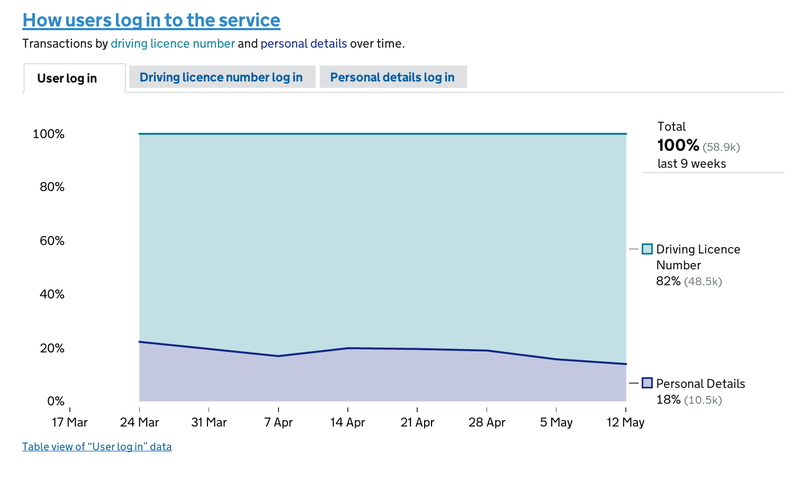 Today we are releasing a performance dashboard for DVLA’s View driving record service. This is a new service and it is currently in public beta. The service lets you find out which vehicles you can drive, any penalty points and when your licence expires. We have included many of the common features in the dashboard but have also done something new with the how users log in to the service module. This visualises which login method people are using and how successful they are in doing this. This insight will be very useful in helping the service manager to see what works well and what doesn't. We are still iterating on our modules and dashboards and welcome feedback, comments and ideas. So have a look around and let us know what you think. How do people subscribe to this blog? Didnt there used to be a subscibe button? Or have I imagined that? Thought there used to be a choice of subscribing via email or RSS. Sorry, the links seemed to have been lost at some point, I've re-added them and you can now subscribe to the blog for email alerts and and ATOM feed.